← Happiness is SO yesterday – On World Poetry Day, who else but John Keats? I have tried so hard not to write this post. Don’t get me wrong – it is not through any feelings of shame at admitting my years of battling depression and anxiety (anyone who knows me and this blog will know I am totally open about my mental health issues and have a page devoted to posts on the subject by me, and by others) but because I felt I had nothing to add to the discussion of the Germanwings plane crash tragedy and subsequent media treatment of the story. I shared a couple of posts on Facebook, but quickly realised how wound up I was feeling and made the decision to step back and observe, as people I respect and mental health organisations made statements I heartily endorsed. But this morning, having read a great post from The Blurt Foundation and more of the marvellous Matt Haig (whose book about his own experiences of depression Reasons to Stay Alive was published last week), and seeing the vitriol being poured forth by Katie Hopkins and Piers Morgan on twitter, I can resist comment no longer. What are people like Hopkins and Morgan FOR? Who do they think they are representing? Why should they be allowed to berate those with mental health issues on a public forum in the most hateful and bullying terms and be allowed to get away with it? I am not going to give any more publicity than is absolutely necessary to the comments Katie Hopkins and Piers Morgan have made – if you are interested you can go on their twitter accounts – but the general gist is that those of us with depression are self-absorbed, malingering, attention seeking hysterics who are only after a sick note. In addition, we are a danger to the public and, as a consequence of the Germanwings crash ought not to be allowed to use anything resembling machinery. Even one of my closest and loveliest friends has now made a joke about how she will be scared to get in a car with me…. I am furious that the newspaper headlines and people like Hopkins and Morgan can undo all the hard work that has been done, and undermine the work still needed, to reduce the stigma attached to mental ill-health. It is particularly shameful in light of the fact that men are far less likely to seek help for depression and three times more likely to commit suicide than women. There are men and women returning from conflict zones experiencing PTSD who deserve respect. We need people to seek attention – not feel ashamed for doing so. It is those who need help we should be listening to, not the media whores who would rather be hated than ignored. I would give anything not to experience the desperate anxiety that has on occasions wrecked weeks of my life. No-one chooses to feel clinically depressed – it is HORRIBLE. And I work, and drive and do all those things people do to just get on with their lives. I am just me – trying hard not to be defined by my mental health issues, working hard and finding joy where and when I can. 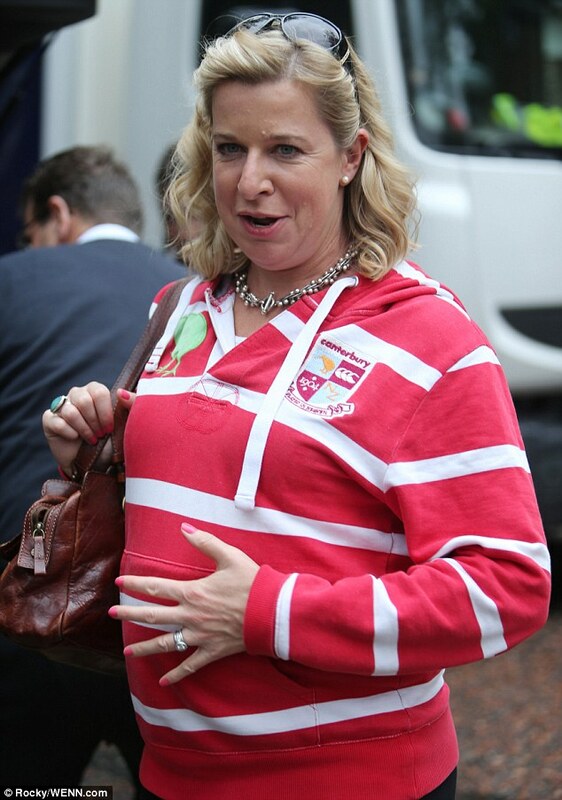 And it is about time we took people like Katie Hopkins to task. She won’t care, she will just shout ‘freedom of speech’ and spit more worthless s**t about people whose lives she knows nothing of. I am not a violent woman, but by God if I met her I would be hard pressed to hold the slap back. The battle to reduce the stigma associated with mental health is not lost of course. But perhaps we need to re-write a few rules…. This entry was posted in Mental health, Random musings on family life, Reading, Writing and tagged anxiety, depression, Germanwings, Katie Hopkins, Matt Haig, mental health, mental health issues, Mood, Piers Morgan, The Blurt Foundation, writing. Bookmark the permalink. We were talking about this on our walk this morning. At least, we were until I came over all wobbly and had to lie down on a bench with my feet elevated because the very thought of Katie Hopkins made me feel physically ill and faint. Awful, awful woman and the whole issue seems to have gone back 20 years overnight. Hopefully it is a blip but even so, a dreadful shame. Yes – I am afraid it has set things back, and there is still no balance in the reporting a week on. Oh dear. Sharing on my FB author page. Thanks Linda – you are absolutely right. Something narcisistic I expect! well said, Suzie. Some people have to have a target so they can feel big about themselves. We can call this bullying behaviour. There may a DSM -IV ( catalogue of psychiatric conditions) name for it but some times god old plain English is accurate enough. I won’t add any words, which may of Flemish origin rather than Anglo-Saxon, about Ms Hopkins. I’ll just recall a man called Hopkins was also known as the Witch Finder General who ‘discovered’ witches (also in quotes) whom he could torture and persecute and were eventually executed. it seems a similar process.